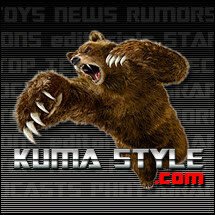 Toy Nippon: BBTS Sponsor News: Freddy Krueger, Transformers/Marvel Hoodies, Game of Thrones, FansProject, Star Trek, NFL Sportspicks & More! With many movie figures out the master of nightmares Freddy Krueger now has his first video game figure. This figure is priced at $19.99 which is $5 off the MSRP. A bunch of new items from Mad Engine are up for pre-order. They come from licenses like Star Wars, GI Joe, Marvel and Transformers, and are usually available in sizes from Medium to XXL. The Fleece costume hoodies are priced at $57.99 each, with the t-shirts at $15.99 each. Now you can plot your own takeover of Westeros with this set. The map and six carved markers come in a hinged-lid presentation box and are priced at $179.99. This new box set includes the center figure of the Crossfire gestalt, Diesel, along with all fo the parts to assemble Crossfire. It is priced at $119.99 as an early bird special until after September 26th, when the price will increase to its regular price of $149.99. These three F-22 Raptor planes transform into grey, blue and black robots. They are available as a Set of three and are priced at $299.99. Rocky, Bullwinkle and friends are soon to be available in the form of 7" Super Deformed plush figures. You can get Bullwinkle, Rocky, Boris, Natasha, Mr. Peabody and Sherman at $11.99 each, or as a Set of 6 at $59.99. This kit upgrades a certain 2 foot tall transforming robot that was recently released. It contains a new head that appear to transform into a cannon emplacement, as well as another weapon and radar dish, each of which can attach at multiple places. This set is listed at $44.99. This set not only includes a number of upgrade parts such as a new head, wings, hip/thighs and more for your G1 or reissue 'predator' gestalt, but also a box with foam cutouts to store the whole shebang in! This set is listed at $94.99. This new version of the Mark XLII armor comes with a display stand patterned after Tony's workshop, which can also be used to show him in a flying pose. The figure also has light-up effects and is listed at $109.99. The Castle Grayskull Business Card Holder and original Power Sword Letter Opener are each getting a second run due to popular demand; they are priced at $34.99 and 19.99, respectively. There's a new student at Monster High and she goes by the name Catty Noir. This cool new figure is up for order and has a price tag of $29.99. KISS ACTION FIGURE SERIES 05 - DRESSED TO KILL - 8", 12"
Figures Toy Company has announced a new assortment of their fantastic KISS figures. Series 05 is done with their Dressed To Kill looks, and they are available in 12" as a Set of 4 at $279.99 (singles of the Demon and Catman at $79.99 each) or in 8" as a Set of 4 at $99.99 (singles of the Demon and Catman at $29.99 each). Figures Toy Company also ahs a new license for Evel Knievel, and is releasing the first wave of figures in sets of two - blue jumpsuit and white jumpsuit versions. The 8" figure set is listed at $49.99, while the 12" set is priced at $159.99. It is a big week for Figures Toy Company - their third announcement is for the first wave of Dallas figures. The Series 01 Set of 2 includes J.R. Ewing in Oil Tycoon and "Who Shot J.R.?" outfits, and the pair is priced at $159.99. Finally, Figures Toy Company is releasing an 8" figure of President Barack Obama. It talks (batteries included) and is listed at $24.99. This set will include six figures with all-new dials, two exclusive maps, the Rulebook and Powers & Abilities Card plus tokens. It is listed at $24.99, $2 off the MSRP. Funko is branching out with a variety of new Hello Kitty figures. First up are the 7" monsters - Frankenstein, Mummy and Zombie, and they are available at $10.99 each. Funko is also producing a new line of Hello Kitty Mystery Mini Figures, and they are available as a Case of 24 blind-boxed figures at $119.99, or Random Singles at $5.99 each. This is a miniature representation of the carved trees that represent the older powers of Westeros. The glass sphere with base measures 6.5" tall and is of a limited edition of 1000 pieces; we have it listed at $89.99, $10 off the MSRP. Dark Horse has announced a new round of accessories from the popular books and TV series. They include a Lunchbox, Mugs, Pint Glasses, Ceramic Steins and Shot Glasses, and you can see all of the new items at the link. This new transforming figure changes from armored warrior to bird-like creature. It is listed at $124.99. Two new offerings from Pathfinder Battles are ready for your pre-orders. The new Wrath of the Righteous wave comes in a Brick of 8 Boosters and is priced at $99.99, $10 off the MSRP. We also have the new Red Dragon Evolution Boxed Set featuring Medium, Large and Huge red dragons, which is listed at $34.99. We have added new Sailor Moon import necklaces to our catalog. They include the Sailor Moon Transformation Brooch Silver Necklace Coated with gold and others, and each is listed at $224.99. Take a look at the list at the link for more information. The second Hush three pack has arrived. Scarecrow, Poison Ivy and Nightwing are ready to join your collection, and are priced at $43.99 for the trio, saving you $6 off of the MSRP. This HD version of the Original Series Enterprise has additional details, light and sound effects and a display stand. It is listed at $49.99, $10 off of the MSRP. We have Quake Wave in stock now. He comes in two versions -- one with installed batteries at $159.99, and one with uninstalled batteries (but included) at $154.99. We also have a set of opaque blaster hand and opaque regular hand, and they are priced at $5.99 for the set. This upgrade for a popular character from the recently-ended transforming toy series includes a new face, two cannons, a grenade and two detailed swords. The whole set is listed at $23.99. This assortment includes the Eleventh Doctor, Clara, a Cyberman, an Ice Warrior and a Dalek, and is listed at $54.99. The latest Filmation Masters of the Universe figure has arrived, for the benefit of our international and other customers. This Horde bad guy can join your collection for $39.99. The time-travelling X-Man Bishop is the subject of this new statue from Bowen Designs. He stands atop a Sentinel head with a ball of energy in one hand and a futuristic machine gun in the other, and is listed at $264.99. This trio of 2" Mini Mez-Itz includes Superman, Jor-El and General Zod. It is priced at $19.99. We have restocked the singles of Series 32 of McFarlane Toys' NFL Sportspicks. We have Andy Dalton, Antonio Brown, Arian Foster, Jordy Nelson, Ray Rice, Robert Griffin III and Vernon Davis at $12.99 each; in addition, we have a small selection of Collector and Chase figures from the wave, with varied prices. This set has four pillars topped with various incarnations of Mickey, which are carved with images of other versions and information on the sides. This set is listed at $149.99. This piece from Far East Monsters features a 7" tall Godzilla atop a base with lights and sounds. He is priced at $24.99, saving you $15 off the MSRP. Quantum Mechanix produced the Starfleet Academy ring that was used in the movie, and now they have released the same ring for collectors. This piece features a flat face and comes in a Starfleet ring box complete with interior LED light; we have this piece priced at $29.99.